Mary Jane “Granny” Brown, 95, formerly of Topeka, died Monday, June 1, 2015. She was born Oct. 13, 1919, in Gentry, Mo., to William and Nellie Wilson Leonard. Mrs. Brown owned and operated a kennel for more than 60 years. She also was a Stanley Demon­strator for more than 60 years. She was a member of the Church of Christ. She was also a foster par­ent to several children and a care­giver for military veterans. She married Melvin Brown on Oct. 18, 1937, in Vancouver, Wash. He died Feb. 2, 2005. 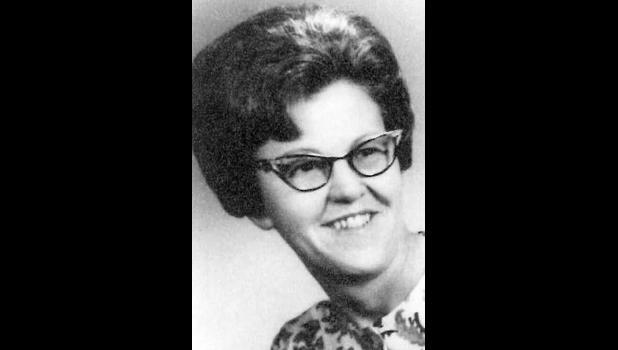 She also was preceded in death by her parents; two grandchildren, Melody Jane Bailey and Mark Bailey; three brothers, Cecil, Graden and Fred Wilson; and four sisters, Faye Ray, Eva Olson, Wilma Small and Neal Boydston. Survivors include three daugh­ters, Melba Nicol, Mayetta, Mar­vella Bailey, Fort Worth, Texas, and Marvellee Self and husband Nick, Topeka; nine grandchildren, Michael Nicol and wife Lana, Cheryl Nicol, Mitchell Nicol and wife Stephannie, Marchell Lane and husband Kevin, Monica Bailey, Mindy Bailey, Melvin Bailey and wife Jenny, Chet Self and wife Ja­mie and Lindsay Self; several great-grandchildren; and five great-great-grandchildren. Funeral services will be held at 10 a.m. Friday at Penwell-Gabel Parker-Price Chapel, 245 N.W. In­dependence Ave., Topeka. Inter­ment will follow in Half-Day Cemetery, Elmont. Mrs. Brown will lie in state after 3 p.m. Thurs­day at the funeral home, where family will receive friends from 7 p.m. to 8 p.m.
Memorial contributions may be made to Lighthouse Hospice, 1480 230th St., Hiawatha, KS 66434; or the Alzheimer’s Association, 3625 S.W. 29th St., Suite 102, Topeka, KS 66614.